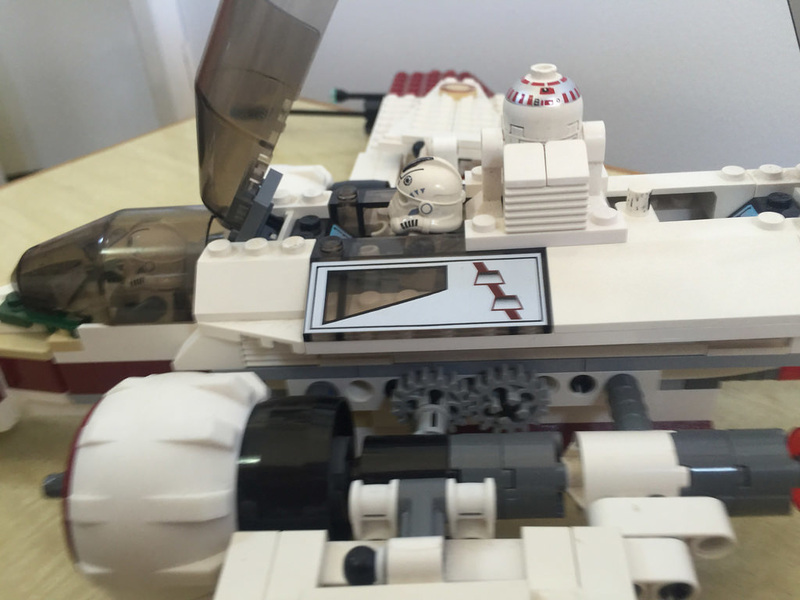 We’re venturing back into the bulk lot again, with a couple of Star Wars sets. 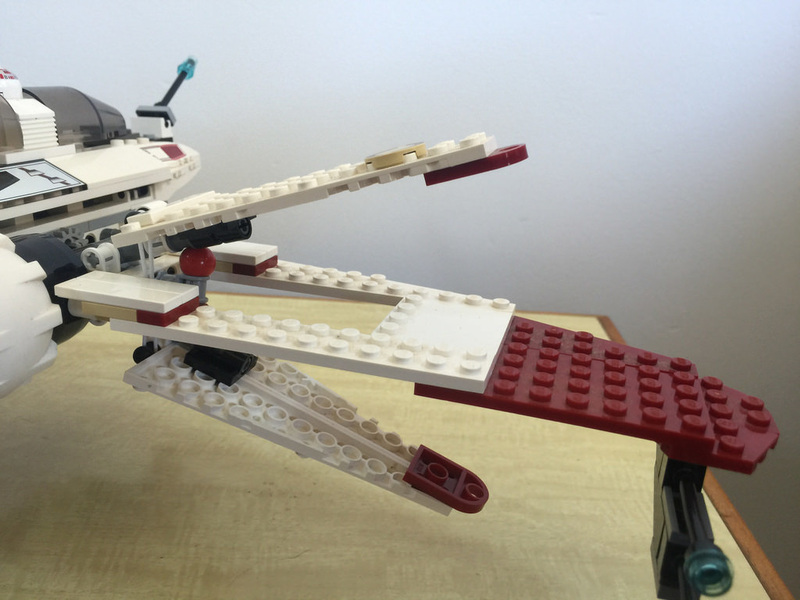 First up, the ARC-170 Fighter. 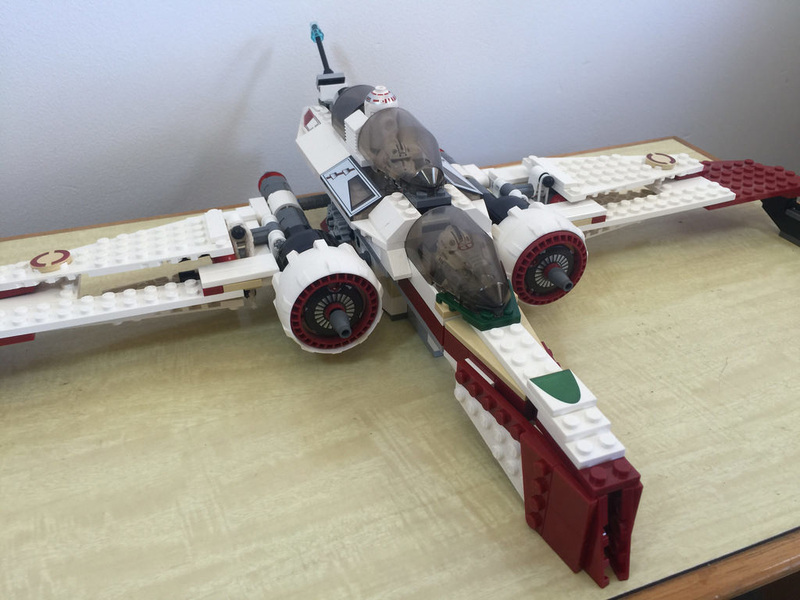 The Aggressive ReConnaissance-170 Starfighter is a somewhat little known aircraft, seen mainly in the Star Wars: The Clone Wars TV series. The aircraft has had one appearance in Episode III: Revenge of the Sith, but it has remained one of those elusive vessels that only massive fans would easily recognise. 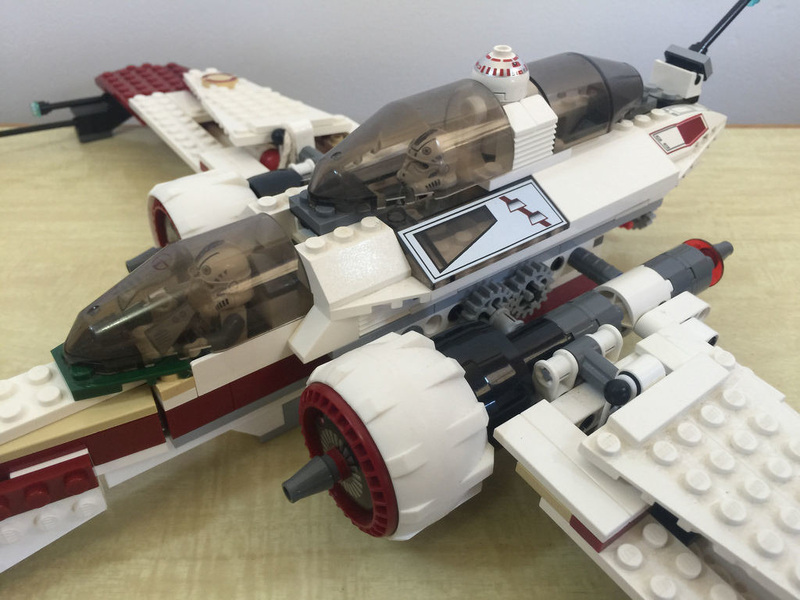 It’s a large set when completed, and in 2010, it was slightly redesigned and re-released as 8088: ARC-170 Starfighter. With wings that split apart into three sections each, and two big engines either side of the cockpit, it’s a pretty formidable set. The elements in this set are still quite hard to come by, which is pretty exciting. Parts like the 1×2 hinge in dark red, two 3×6 windscreens, the two large white tyres, and more. There are a lot of parts in the dark red and white. I was missing a few of the minifigure parts, which was a pity. 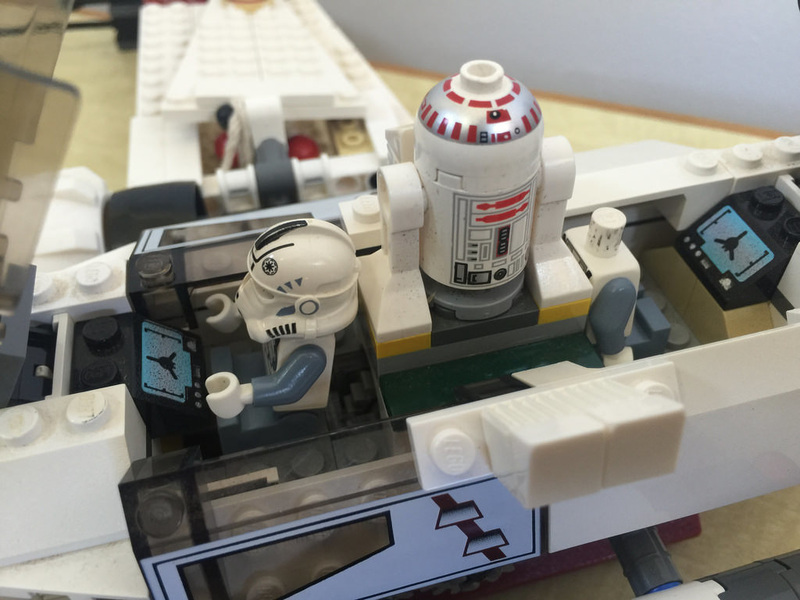 One of the clone pilots was missing his head, but the rest, as well as the R4-D5 was there. These are nicely coloured, but a pity they’re all the same. This set has got some serious swoosh to it! 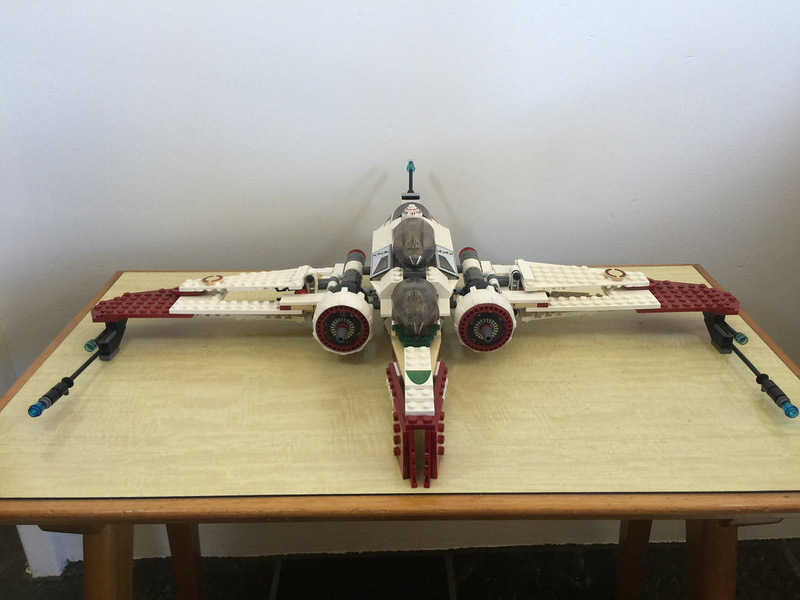 It’s brilliant fun to fly around the room, expanding the wings and making pew pew noises. There’s not that much moveability to it, apart from the wings, the canopies and the laser turret at the back. My favourite feature though, is the bomb release. Pull the elastic loaded post at the back of the plane, and two round 1×1 brick bombs fall out. Be careful not to lose them though! The gearbox was quite interesting, and a pretty neat way to open the wing foils. Apparently this set was one of the first to use this mechanism, and it’s been in use since, for similar sets. A pretty clever way to do it. I did find it a little touchy to get the foils open – the twist mechanism needed a little encouragement before they sprung open, but it still worked well. This set is pretty big, measuring in at a wingspan of 43 cm long. It’d be pretty great to have hanging off the roof of a kid’s room, or a study. 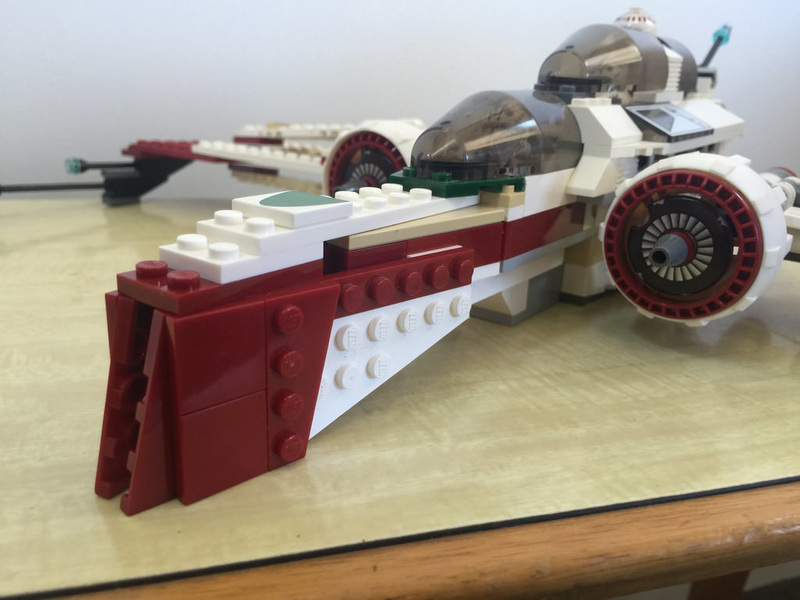 It’s big, and with the clean white colouring and dark red features, it makes for a pretty eye catching and unique vessel. 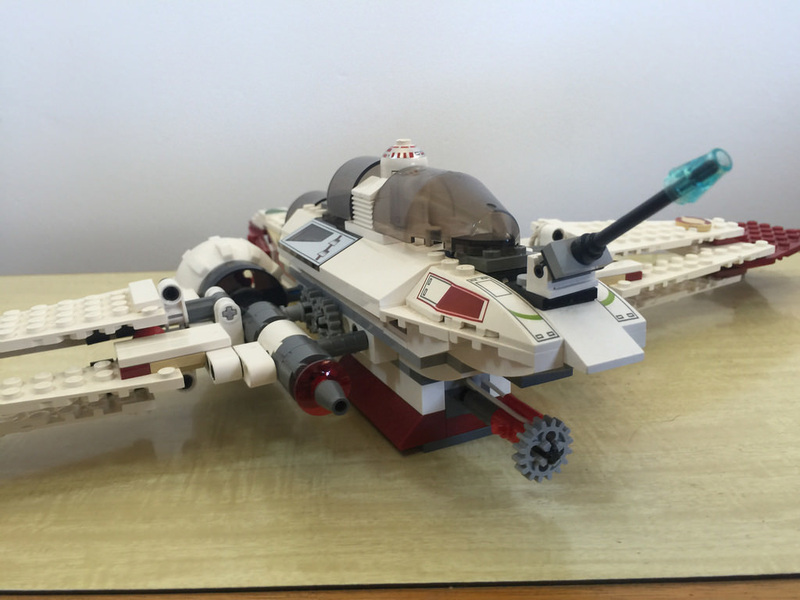 Next week I’ll be staing with the Star Wars theme, and looking at 7675: AT-TE Walker. It’s another pretty massive set! So, do you have 7259? Or 8088? What do you think? Let me know in the comments.